As a mum of two school-aged boys, one 8 and the other 13, I don't get to spend a lot of time with my boys during school terms. With school, after-school clubs, and household chores taking up time it can be so easy to fall onto the sofa at the end of the day and tell the boys they can play games on the console. 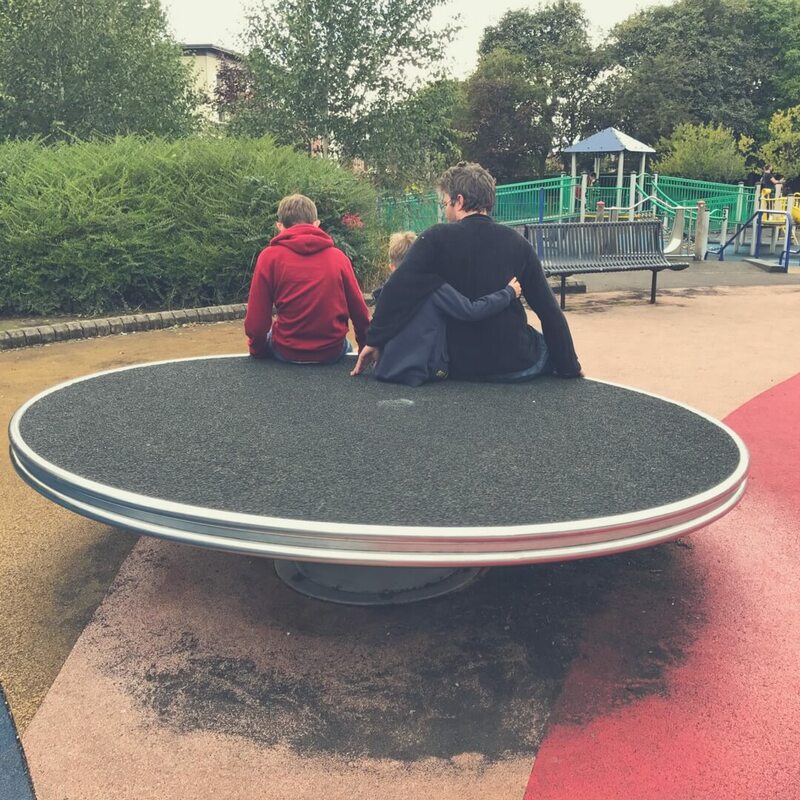 But when I make the effort and spend quality time with my boys it shows - their attitude is better, they're more respectful, and we can have more conversations rather than shouting at one another. 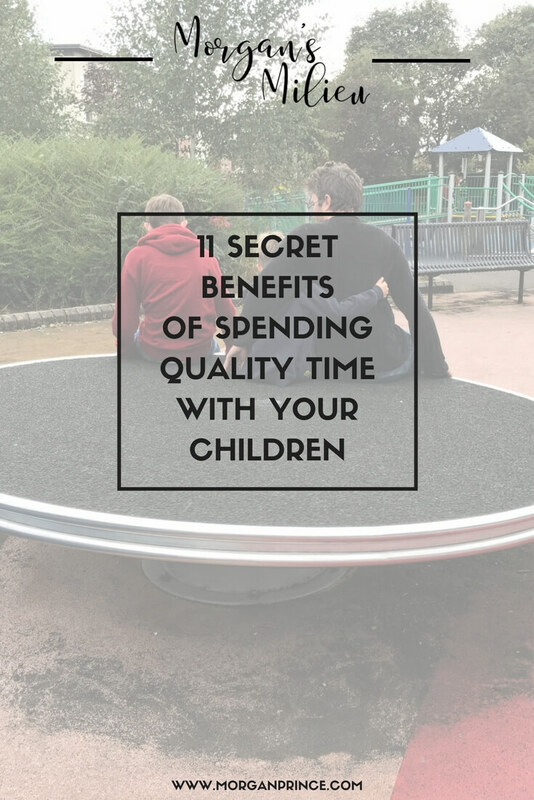 With that in mind below I'm sharing 11 secret benefits of spending quality time with your children. When you take time to spend with your children they feel loved, special. 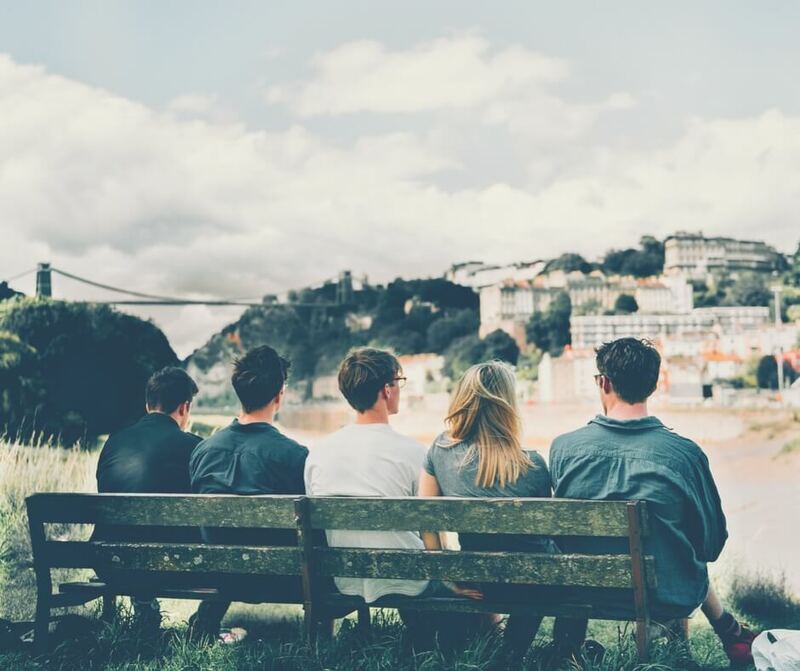 They feel like you want to spend the time with them - which is entirely true but is sometimes difficult to show. Have fun together, enjoy the family time, bond. Spending quality time with your children allows you to bond. It is so easy to think "well, they're my children - of course we're bonded." but when you take time away from work or don't sit and watch your favourite TV show and instead do something with your children they will be pleased that you want to spend time with them. They will feel the need to talk to you and play together because you are taking time out for them. But best of all it gives you a chance to get to know one another, to chat, to play, and yes - to bond. Being a mum to a teen I often hear his opinions in the form of yells and strops when I tell him he can't do something. He's usually objecting to a rule and I often end up yelling too. Not good. I have noticed though, that when we spend time together - just the two of us - it is easier to talk rather than yell at each other. A few times when BP and I have been in the house while LP and the Hubby are out on a bike ride we have had discussions about varying subjects ranging from abortion to my views on religion. I love times like that - when I can have a discussion with my boy and learn about his opinions on important subjects. The thing here is that I don't push my opinions on him, I let him talk and express his thoughts and feelings. After chatting to BP and hearing his opinions I get to know him a little better. Now I'm not saying I don't know my son, of course I do, but as he grows up he is gaining life experience and forming his own opinions on things. I learn what he thinks on subjects, I learn where his priorities are, and that helps me be a better mum to him. For LP this is a little more complicated because he isn't quite as old as BP and at 8 years old his opinions tend to be more black and white. However, I can learn more about what he thinks on certain subjects even if he isn't able to discuss complicated topics like abortion. Over the last few years I've learned a lot about my boys and spending quality time with them has helped me. 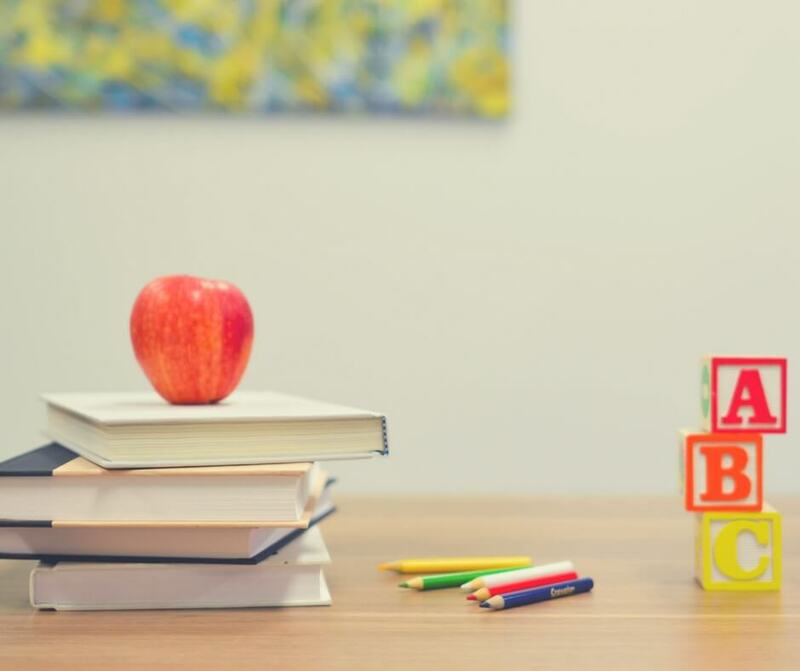 When children are at school they know they are expected to learn, they know they're expected to reach a certain level and strive for that but sometimes learning in a non-judgemental setting can do them the world of good. Spending time with your children doing something where they're learning can do them the world of good. Whether you're building a fort or teaching them how to cook allowing them to make their own mistakes without judgement is a great way for them to learn, they gain self-confidence and they are more likely to learn valuable lessons that way too. According to a Journal of Family Psychology study having sibling (or parent) involvement means children are more likely to do good deeds. I guess the thing here is that if you are there, helping them and having fun then they grow up thinking that helping others is a good way to spend their time. If they enjoyed it as a child they may well enjoy it as an adult. Children who spend quality time with family are less likely to act out, particularly in a violent manner. Working together, to build a fort for example, can help bring you together because you're working towards a common goal. I often spend time with LP building forts, he had a great one for Christmas, and he LOVES it. He helps build the frame, adds the tarpaulin and invites me inside to enjoy snacks when it is finished. It's a great way to bond and as an added bonus his behaviour is much better afterwards. Children who play with their families tend to do better in school. By spending more time with you they are able to learn from you, whether that's language, maths, science, or even something else, your children are learning the entire time they're with you. When we take our boys on walks we often spend time talking, we talk about lots of different things and cover all sorts of topics including economics and politics. Our boys learn about how the world works, how money can make a difference to someone, and how our political system works. We talk about cars, movies, all sorts. I love it when we can talk to our boys about a range of topics because I know they're learning - and as an added bonus they get to know us a little better too. By spending time with your children you're decreasing the chances they'll get involved in dangerous activities. I know as a parent it is something we always fret about isn't it? Wondering what on earth they get up to when they're out of our sight. But I believe that if you spend quality time with your children, teaching them about the world and discussing different topics, you can teach them about the dangers in the world, you can make a difference to the choices they make - at least some of the time. If spending time with my children will reduce the risk of them choosing to take part in a dangerous activity then I'm all for it! Your children can be around you all day, but if you don't spend quality time with them and you don't pay attention to then and talk to them and listen to them, it doesn't matter that they're just around you. Now this might not be the case all the time, I've had my fair share of stressful board game time (! ), but for the most part spending time with your children reduces their stress levels. By being together and having fun you help to increase the feel-good chemicals in your children's bodies and reduce stress. That's gotta be a good thing right? By talking to your children about healthier choices and rewarding them with healthy snacks they are less likely to turn to comfort food. At the moment I have a salad for lunch every day, I prepare it in the morning after preparing LP's lunch. He watches me, has for the last few weeks, and asks questions about the food I'm chopping. He's learned a lot about the choices I am making and has even learned the difference between some foods, like turnips vs radishes. While a salad is not something he would choose to eat he admits that it looks like it might be tasty. He says the colours of everything make it look nice. This is why I like that he takes an interest in watching me prepare meals, he learns about the choices of food and why we choose healthier options. We still allow him to have treats but he is learning about the healthier things too. I just thought of another one so am adding it as a bonus! When you spend time with your children they are learning important parenting abilities. As they grow up they learn from you, they learn what they like and what they don't and make decisions about their own parenting as a result. I would love to see my boys deciding to play board games with their children or going on long walks with them. Spending quality time with your children doesn't have to involve anything except you and your child. It could be reading a story together or playing a simple game, as long as you are together. Next week I've got my list of the best movies to watch with your children and soon I'll be sharing the best ways to spend quality time with your children. I hope you'll be able to stop by! How do you spend time with your children? Hi Morgan, raising children on an island with very few childrens activites, apart from nature and the beach, and no internet (back then) was a near perfect up bringing. We did get plenty of quality time together, playing and chatting. I'm sure that up bringing is why they feel they can talk to me about allsorts without judgement and maybe the odd chortle when needed. That sounds brilliant Debbie - I think making the extra effort to get away from the tech these days is particularly hard, especially when you have to fight with your children to get it! They are your kids! You should be spending all the time you can. I love when we go away and have all the daily distractions put aside and just bond! I totally agree, it can really impact your relationship with them if you make time to talk, and listen to them.